Situated right in between the state’s two largest cities (Boston and Worcester), Stow is a sight to be seen. Unlike its big-city neighbors, Stow boasts a scenic, small-town feel. And with a population of just 6,500 people, you really can judge a book by its cover here. 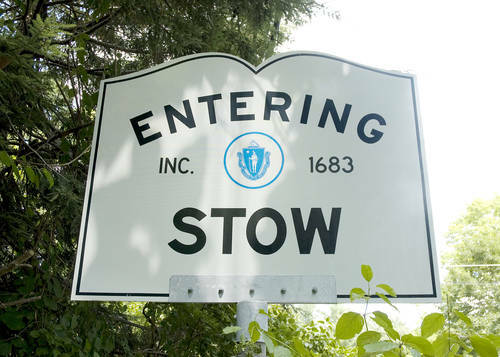 First settled in the mid-1600s, Stow has been on Massachusetts maps for some time now. It wasn’t until the 1970s and 80s that the area really started to grow. That’s when a meager population of just 2,500 jumped to 3,900 and 5,100, respectively. The town has kept growing steadily ever since, with a 10 percent increase from 1990 to 2000 and a nearly 12-percent increase from 2000 to 2010. In the state (and across the nation) Stow is primarily known for two things: its golf courses and its apple orchards. The town boasts four golf courses total, and it’s home to the renowned Stow Acres Country Club, which played host to the US Amateur Public Links Championship in 1995. As far as orchards go, Stow boasts five well-known spots – Shelburne Farm, One Stack Farm, Derby Orchard, Honey Pot Hill Orchard and Carver Hill Orchard. Families travel from all over the state to go apple-picking in Stow when the season is right. But Stow isn’t all apples and golf balls. There’s actually a whole slew of activities to partake in within the area. Whether you’re 5 or 85, there’s truly something for everyone in Stow. Locations like Lake Boon, which is one of the more popular spots, offers boating, fishing, swimming and more. Aside from that, there are also plenty of hiking and biking trails, as well as a public library, a local beach and plenty of opportunities for hunting. Children in the area attend Stow Schools, which includes one elementary school, one middle school and two high schools. Minuteman High School, an admissions-only school, offers vocational and technical training to high schoolers in the area. Nashoba Regional High School is where the majority of ninth through 12th-graders attend, and it’s located in nearby Bolton. Rated 9 out of 10 on GreatSchools, Nashoba was named in the top 1 percent of public high schools by Newsweek in 2007, 2008 and 2009. The town is also home to the Massachusetts Firefighting Academy, where future firefighters can get their training, as well as a number of private K-12 schools in the area, including the Imago School and The Victor School. Though you might think a town as appealing and full of amenities is out of your price range, Stow is actually one of the more affordable communities in the area. The median home price in the area is around $491,000, but smaller properties can run as low as $180,000 to $220,000. More expansive properties tend to cost between $400,000 and $600,000 – a steal compared to many New England towns in the region. With affordable real estate, top-notch schools, and all the amenities a growing family could need, Stow is the perfect place to lay roots down. Visit Stow today to see the difference for yourself.